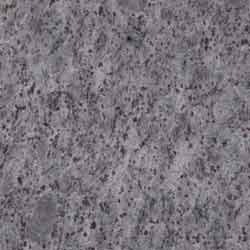 We take pleasure to introduce ourselves as one of the renowned firms for providing the best-in-class range of Lavender Blue Granite. Blue has been associated with celestial abode and the appearance of these granites would definitely make you feel as if they are from the other world. Our range of blue granites is used in the construction of the buildings, making beautiful handicrafts and for sculpting the statues. To conclude, these lavender blue granite would not only meet clients' expectations but would even go beyond them. Founded in the year 2010, we “India Stone Impex” are a distinguished manufacturer, exporter of a broad array of Coloured Granite Stone, Colored Sandstone, Sandstone Pavers, Brick Wall Cladding, Marble Slab, Garden Handicraft, Marble Handicraft, Granite Monument, etc. We are a Sole Proprietorship firm that is incepted with an objective of providing best quality range of products. Situated at Jaipur (Rajasthan, India), we have constructed a wide and well functional infrastructural unit that plays a crucial role in the growth of our firm. Under the guidance of “Mr. Amit Jain”, we have gained huge clientèle across the country. We export our products all over world.